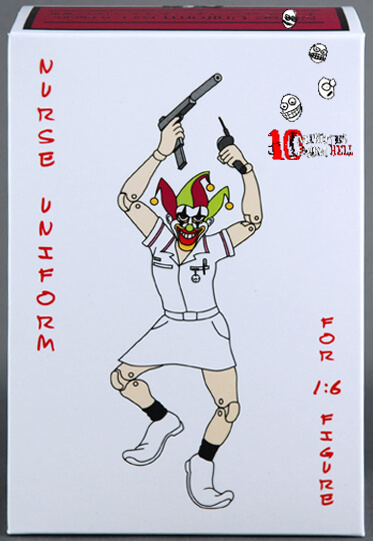 Anyone that watched The Dark Knight remembers the scene with “Nurse Joker” and his interview with Harvey Dent and the aftermath that followed – and ever since fans have been begging for a Nurse Joker action figure. Hot Toys has released two versions of the Joker – his purple suit and bank robber outfit – and a makeup-less Police Officer version is coming later in the year. 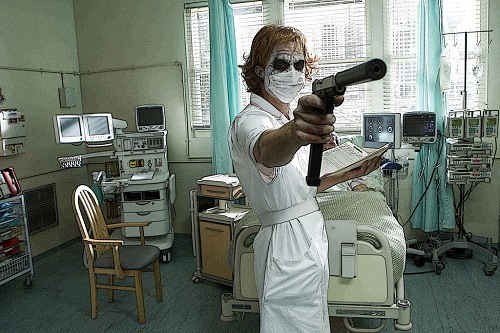 Collectors that have the Bank Robber version of The Joker know it comes with an extra head that can be swapped so it can fit the clown mask – or even better – for the cost of a Hot Toys True Type Body and a visit to eBay and you have an instant Nurse Joker! and is very high quality. It took about 8 days to get to my house, but the wait was worth it. I also picked up an Oscar in 1/6th scale from the same seller and he packed it in with my nurse kit. 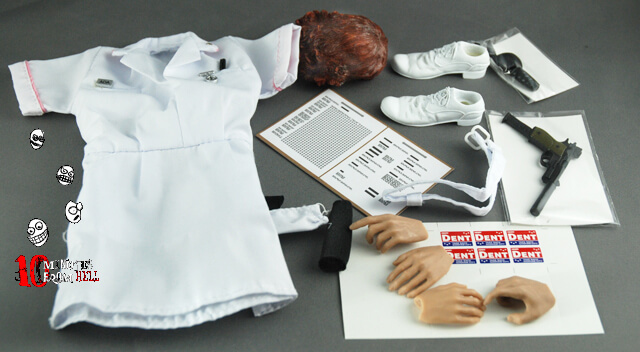 The Nurse Joker Kit comes packed in a full color box, each hard good piece is individually wrapped in a plastic bag. The only downside is locating a body that will match the included hands and the head supplied from the Bank Robber Joker set. I used a Hot Toys “British Army Tank Commander” body that I already had. As you can see, it has a little bit of a red tint that is a bit distracting – but it doesn’t completely take away from the figure.